BLACK RIVER, N.S. -- The RCMP in Nova Scotia are searching for a snowmobiler after he went through ice while crossing a lake. Police say officers were called to Black River Lake in King County around 10 p.m. Saturday. They say a group of snowmobilers were crossing the lake and three riders went through ice. 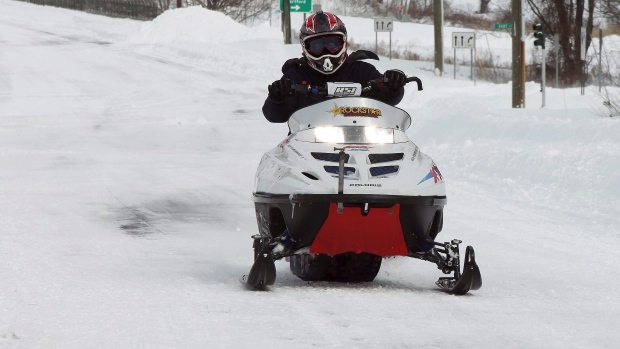 The Mounties say two snowmobilers were rescued, but a 26-year-old man from New Ross has not been located. The search was continuing Sunday.